Marilyn Manson and Rob Zombie are kicking off their summer tour today, and to get us all riled up, they've joined forces to share a cover of the Beatles' classic White Album track "Helter Skelter." As could be expected, the cover comes packing a significant amount of added muscle, complete with some seriously red-lining guitar work and duelling vocals from both Manson and Zombie. Let the pair tear you a new one below. 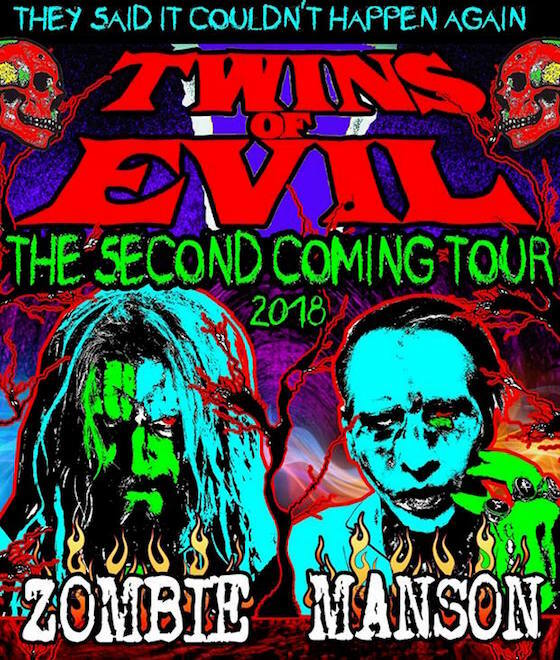 Manson and Zombie will hit the road on the "Twins of Evil: The Second Coming" tour today, and you can find a complete itinerary here. Just don't come wearing an Avenged Sevenfold shirt.